​Friends of the Underprivileged (FOU) is a nonprofit group of international friends, who voluntarily get together in our personal capacity, working on the sole vision of helping the underprivileged in Asia regardless of their race, age, gender, religion, or political opinion. Since 1990, we have helped displaced boat-people who scattered throughout Southeast Asia, battered refugees in East Timor, minor tribes in Myanmar, poor orphans in Cambodia, typhoon victims in Philippines, as well as people with leprosy and their children in Vietnam. ​Our mission is to empower the underprivileged with educational support so they can help themselves. 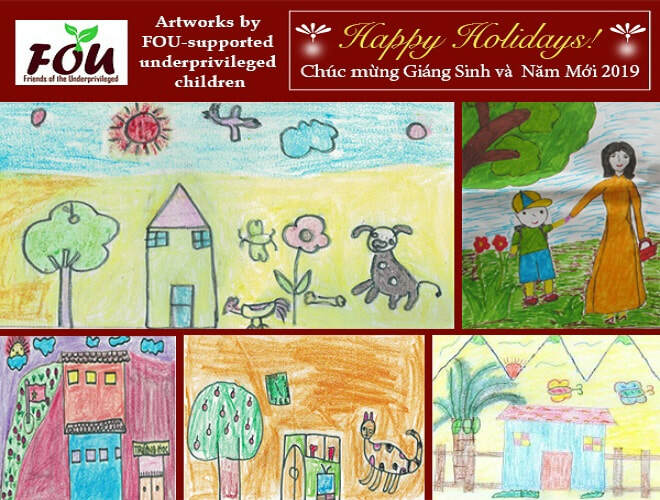 ​Keeping the group mission in mind, all FOU volunteers work on projects at their own expenses so that 100% donations will completely and directly benefit the underprivileged. Please contact us if you would like to know more.